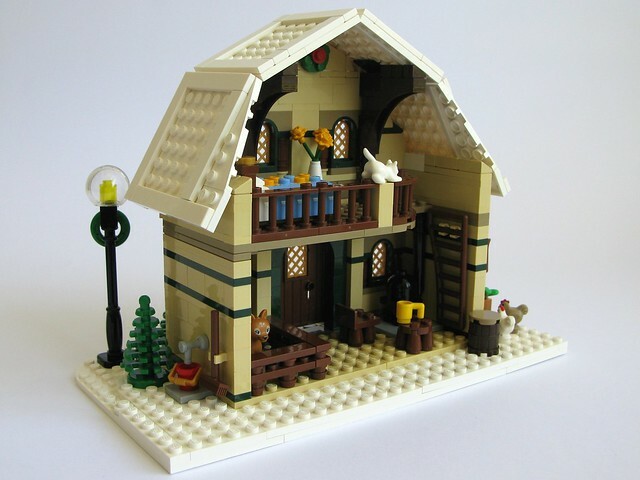 This MOC is my second one in the style of the Winter Village series and is intended to be the place at the North Pole where sick animals (mostly reindeer!) are looked after. It is a combination house and barn so that someone can be on site 24 hours a day to look after the animals. 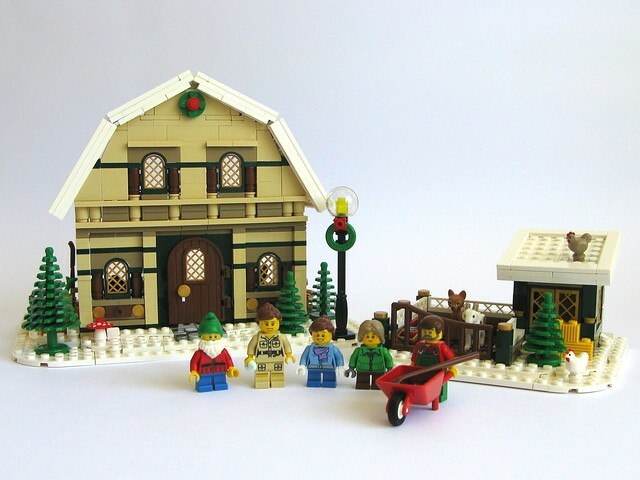 The Winter Barn House was first built in December 2014 for the Expand the Winter Village Contest on Eurobricks. More pictures of the original can be found on Flickr.